This is the beginning!! And what a better way to start your discography as a band with a debut like this. This was , has it all. Blues , jazz, folk , rock and hard rock , all melted together like the finest whisky ! 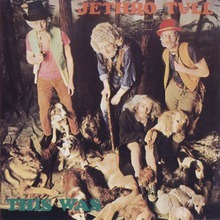 In an era of great music overflowing around (1967 - 71) , Jethro Tull was a band of unique and qualified musicians who created their own distinctive sound marked by the flute of Ian Anderson and a great rhythm section enforced by one of the greatest dummers of all times : Clive Bunker.